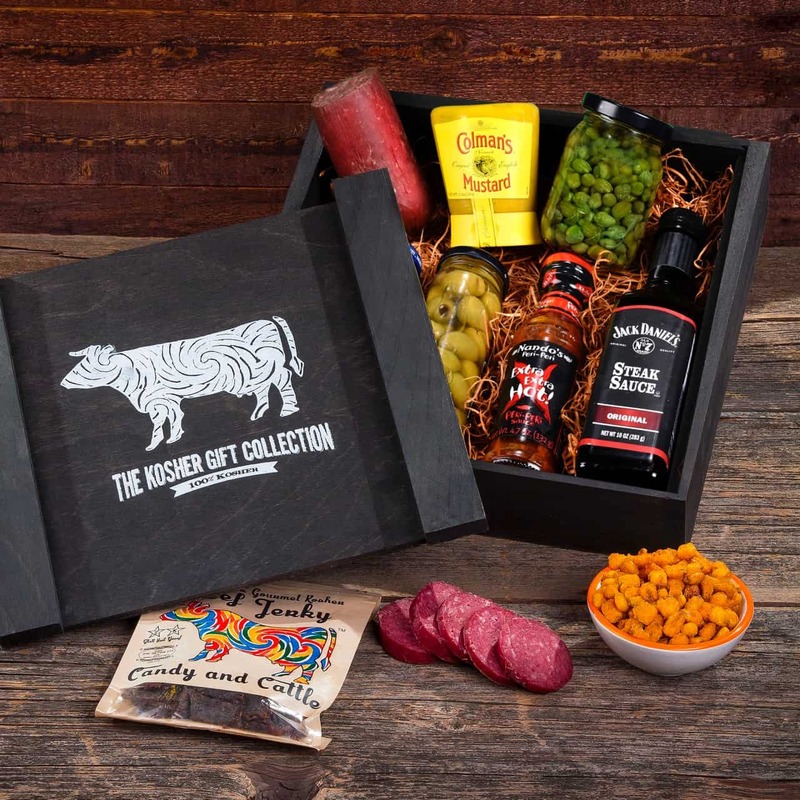 For the meat lover in all of us, this custom wooden crate is packed full of your kosher favorites: beef jerky, hard salami, capers, chili lemon corn nuts, hot sauce, steak sauce and spicy mustard. Kosher Meat and Jerky Crate measures 10″ x 10″ x 2″. All gifts are shipped close to the holiday. All items are individually packaged for freshness.